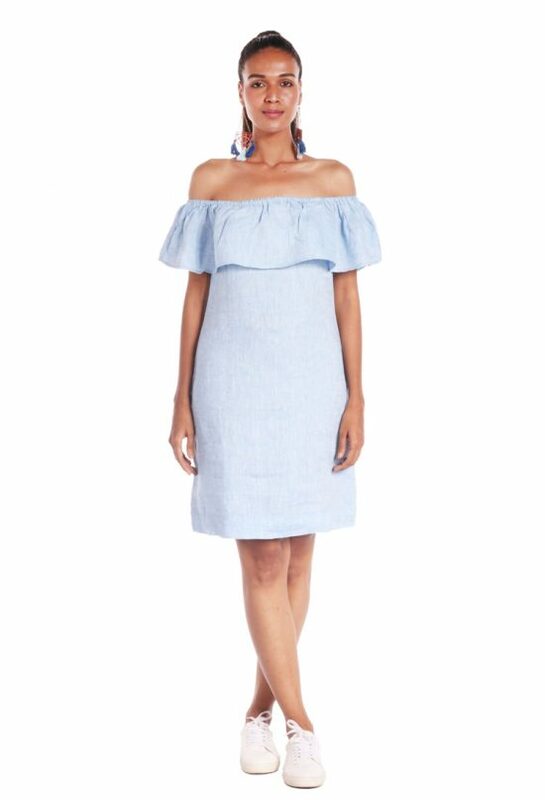 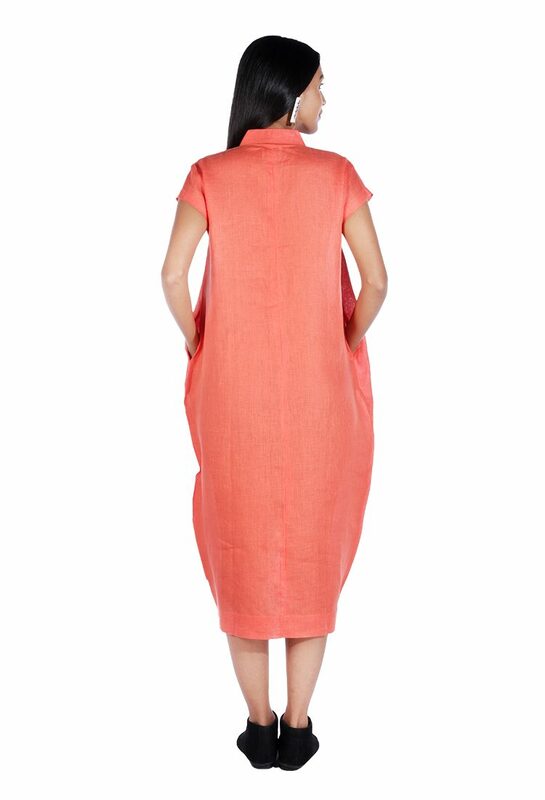 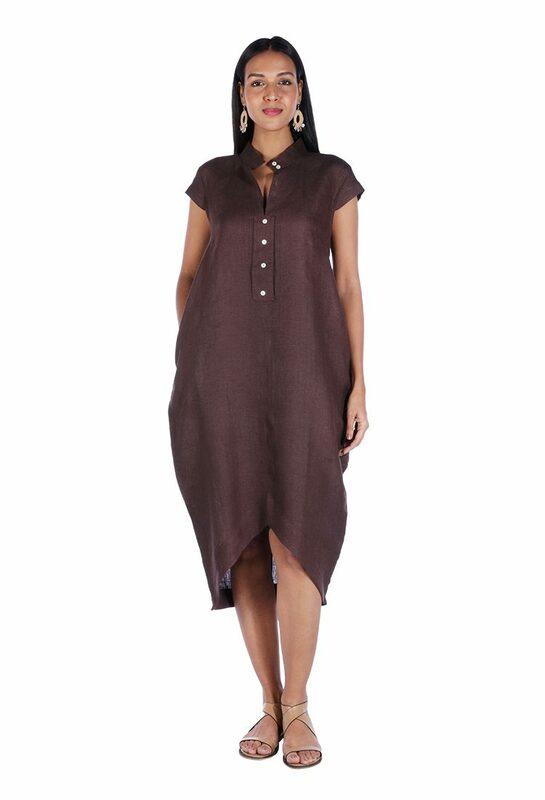 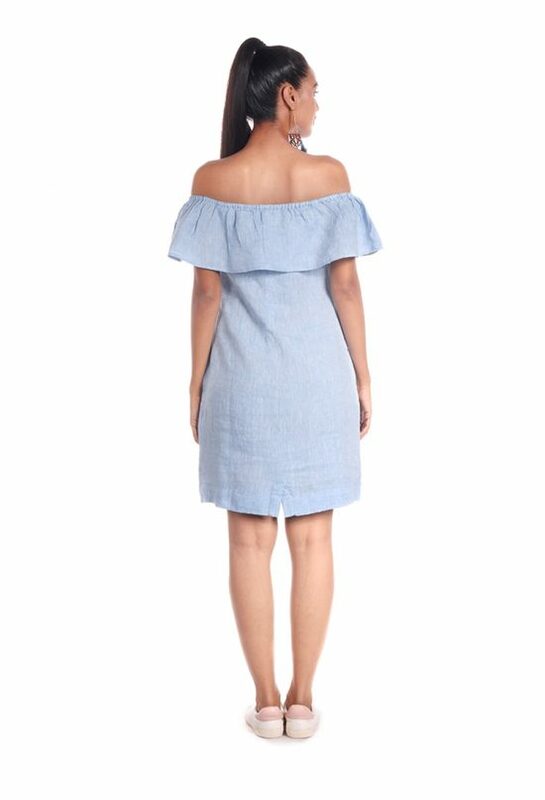 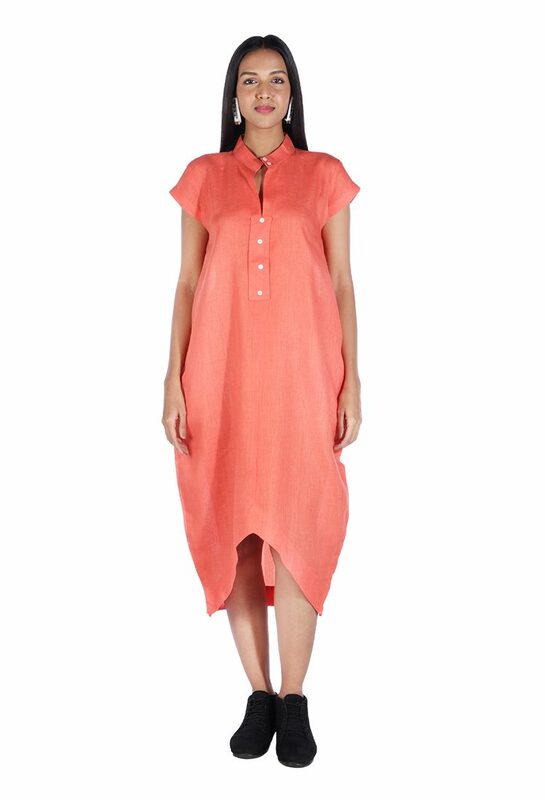 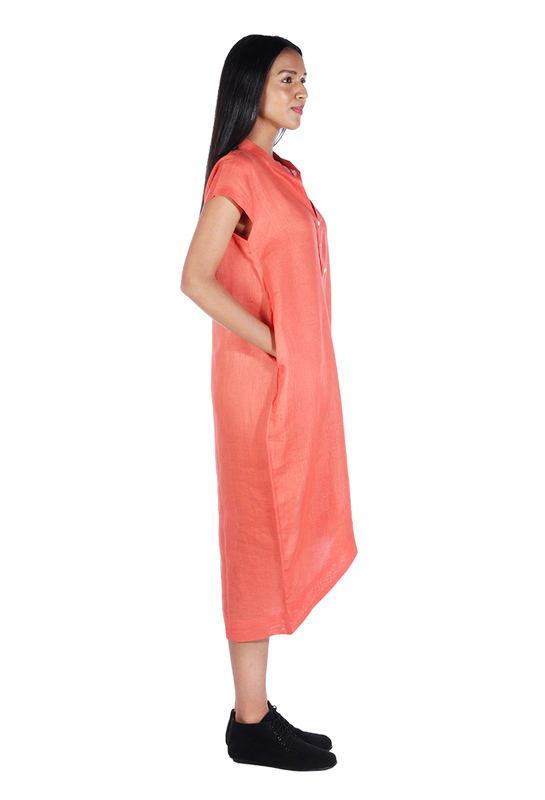 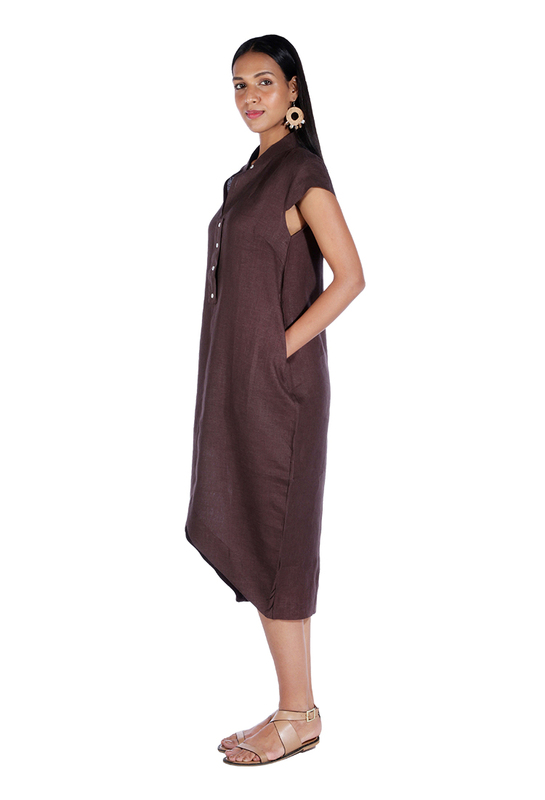 Redefine your off-duty dressing with this uneven-hem linen dress. 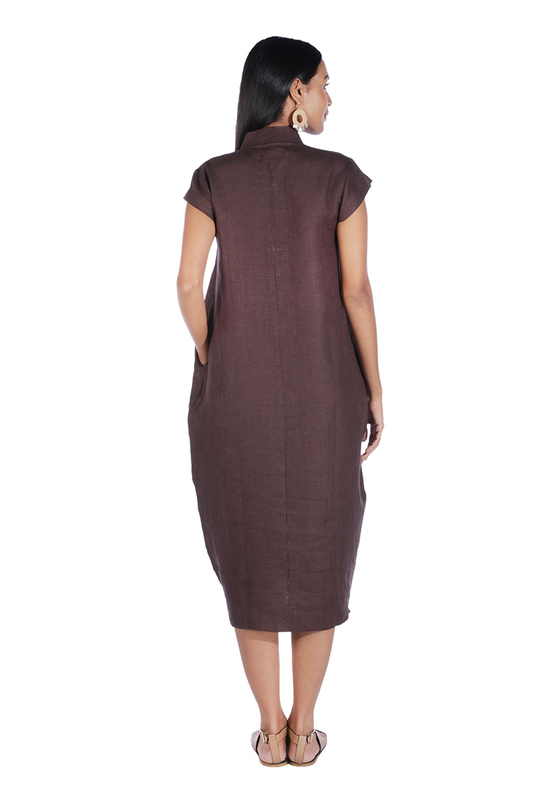 Tailored with chinese collar, mother-of-pearl button panel and pockets on both sides. 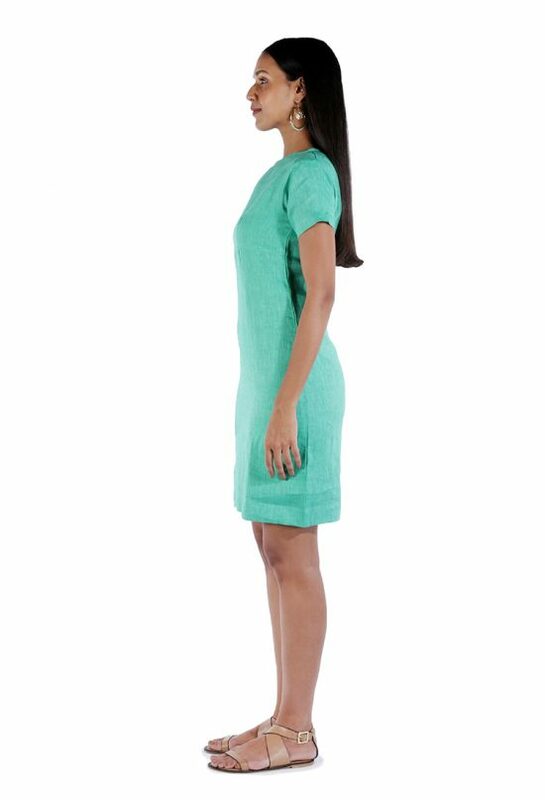 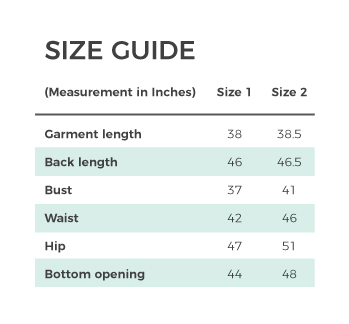 The unique shape of this dress with a tapered bottom will make you look sleek and slim yet easygoing and effortless. 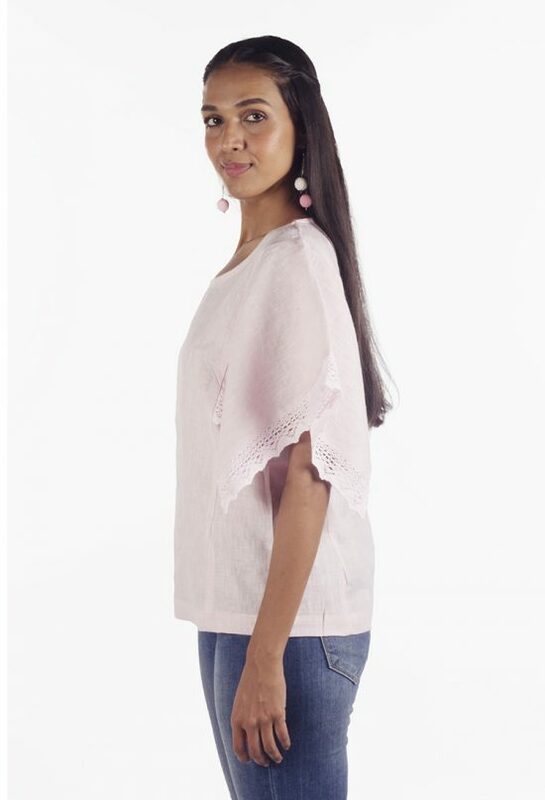 It’s the small details that count; with stylish mother-of-pearl button panel and the cascading detail for graceful movement with each step. 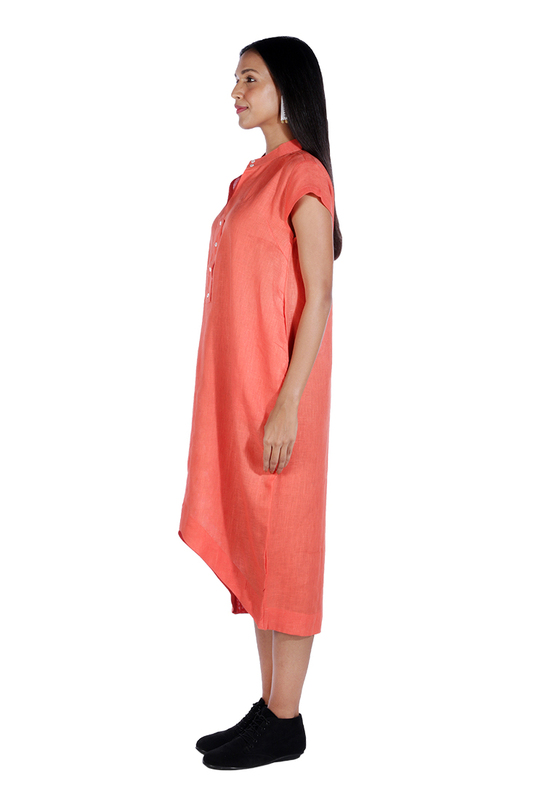 Jet from day to night with this ease wearing dress crafted from pure linen fabric. 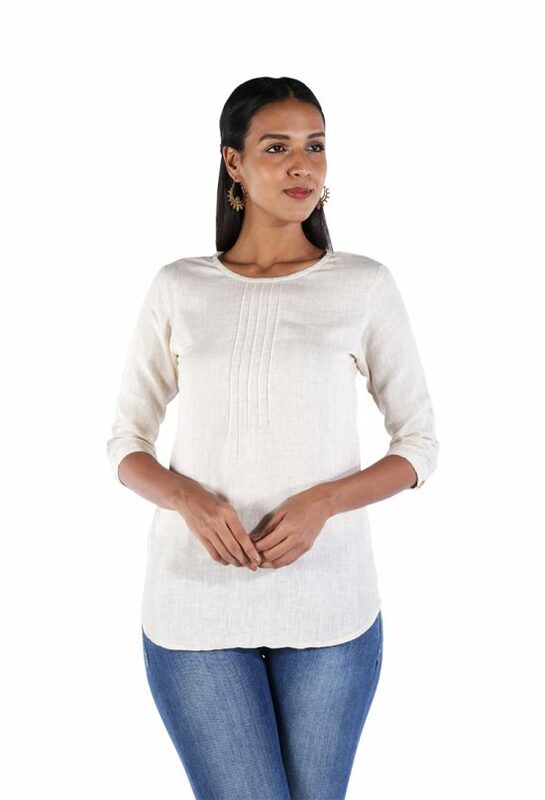 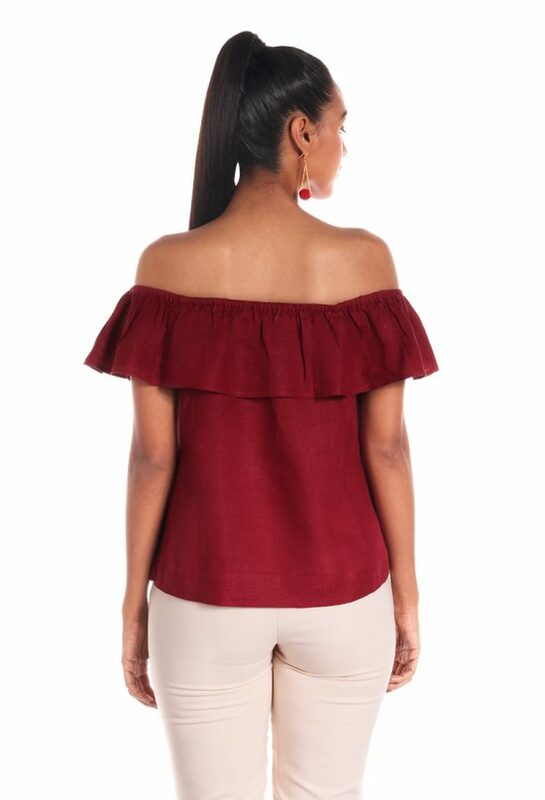 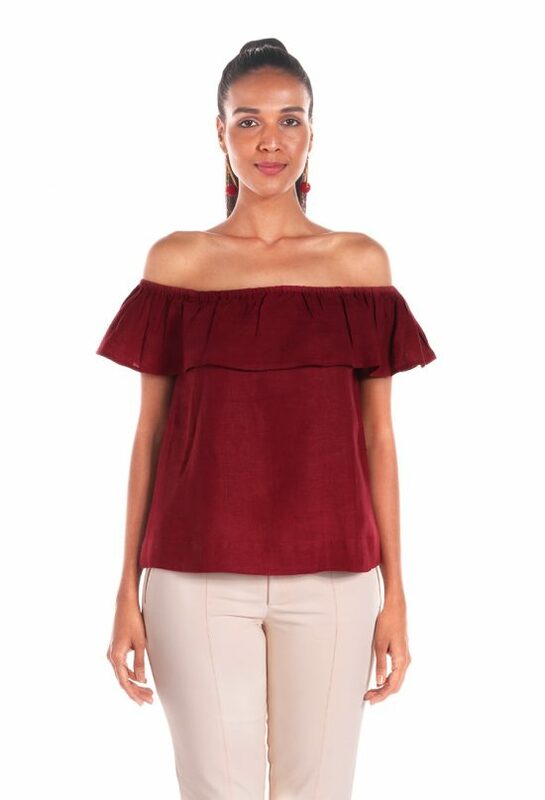 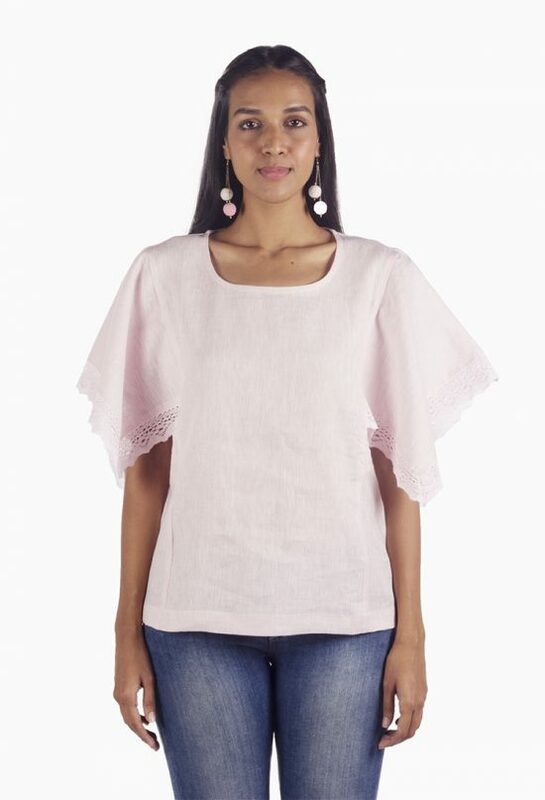 Wear it with boots, sliders or flats and basic earnings to keep it simple and stylish.